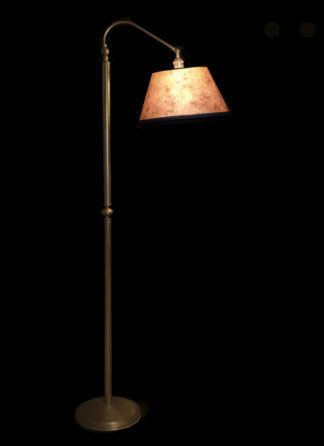 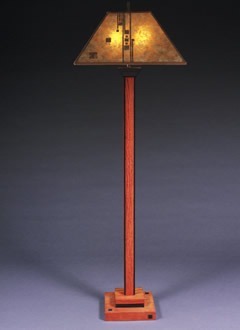 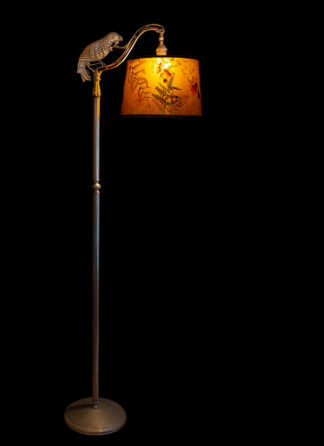 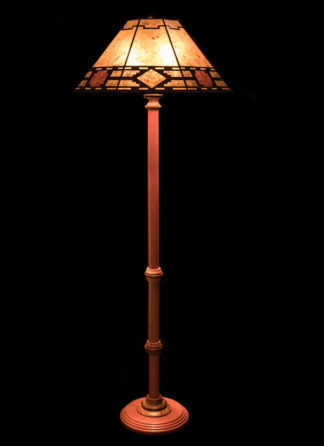 This hand-crafted walnut floor lamp with linear accents is designed by Bill Jabas in the tradition of Frank Lloyd Wright. 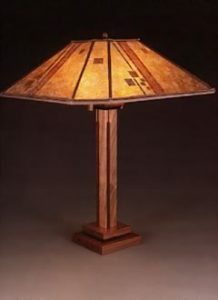 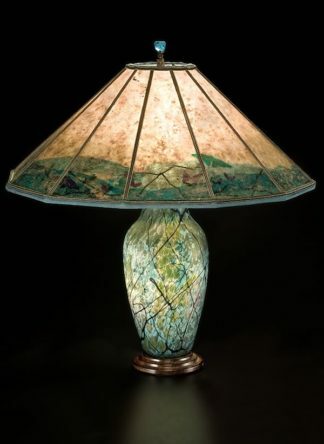 Our version easily lives in a contemporary setting with your version of the Arts and Crafts style. 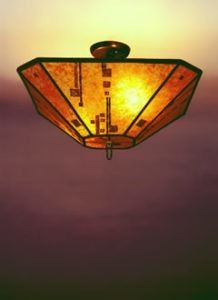 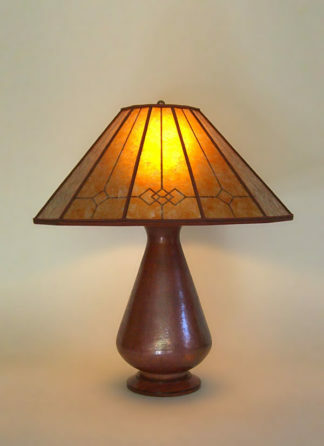 Sue Johnson’s amber mica shade with its Lines and Squares design imparts a warm and elegant glow to your rooms.